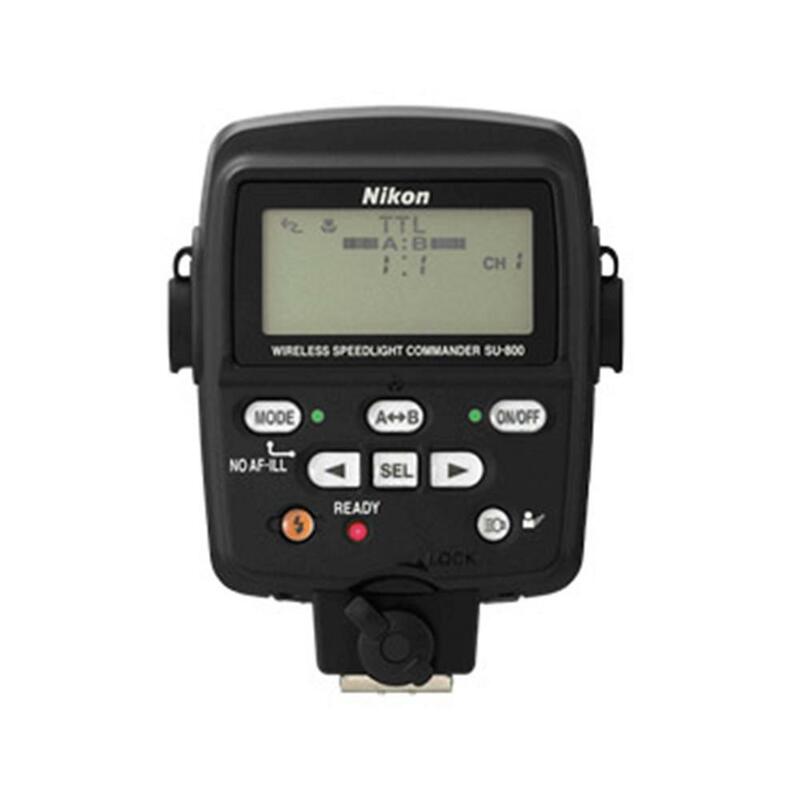 Speedlight units can be divided into three groups with independent control of the flash output for each group when using an i-TTL compatible Nikon digital SLR camera and Speedlight. Features a Commander function that can trigger wireless remote flash (SB-800, SB-600, or SB-R200) units without a master flash unit. When using the SU-800 with cameras not compatible with i-TTL flash control, only close-up flash operation (using cords) is possible using the optional TTL Cord SC-30.